"And This Is Laura" is the hilarious story of an average girl in a family of overachievers who learns she's not so average. Laura's oldest brother composes his own music and is a debate team champion; her sister is a star actress and bowler; her youngest brother is in the process of counting to a million. Laura? She's just an ordinary twelve-year old--that is, until she discovers that she can see the future. Suddenly, she has popularity, attention from her parents, even media coverage. It's new and great--until one day, a vision frightens her to the core. 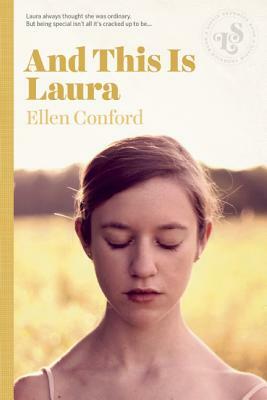 Ellen Conford is one of the most prolific and successful authors of young adult fiction. In addition to the popular Jenny Archer and Annabel the Actress series, Conford has written over thirty novels. She has received numerous awards, notably an ALA Best Book of the Year citation.